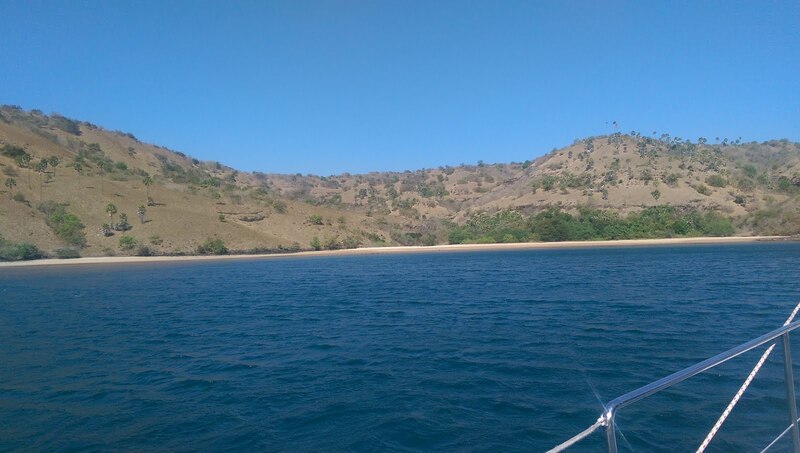 We have just anchored in a bay on the west side of Rinca Island. 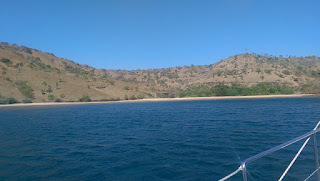 This island and it's neighbor, Komodo are populated by giant lizards, up to 3 meters long! Rinca is a national park and also the home to many monkeys, deer and Brahminy Kites. This area of Indonesia is a nature Mecca both on land and sea. Some of the world's best diving is found around these islands. I am watching monkeys playing on the beach just now. There are flights from Bali to nearby Labuhanbajo, so it is easy to get to. The SE trade winds are very strong now, so we will relax a few days here until things calm a bit. Susan's baked fresh bread yesterday and black beans and rice for dinner tonight.